Behold, a project 8 years in the making. 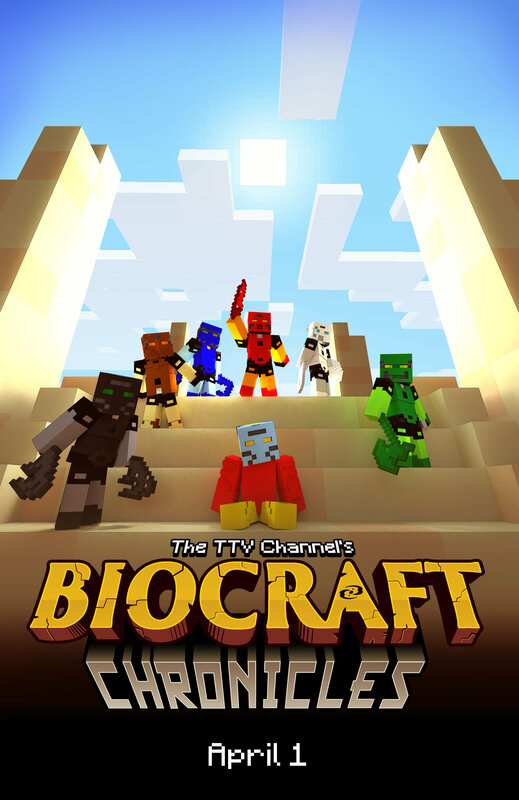 We at TTV spent from February 12th to April 1st working on the 70 minute long BioCraft film. This would not have been possible without our generous and patient Patrons in the TTV Patreon Discord server. We worked hard on this and are pleased that everyone is so happy with the end result. Please enjoy! I am more than thrilled to see it April 1st. It's the story of Bionicle. Filmed in Minecraft. And it most certainly is coming out on the 1st day in April. APRIL FOOLS! Wasn't it like cancelled years ago? Uh, you can uncancel things, and that's what we did. So see ya on April 1st. Can't wait to see what is going to be like! Oh boy, finally. It would be very devastating if this was some kind of prank of the sort that tends to happen on April 1st, but I have faith in this announcement and that I am not being bamboozled. Everyone saying it's a prank is preaching to the choir... It's obvious guys lol. what if the prank is that it's was all filmed in Terraria? The date makes me highly skeptical, but my skepticism is completely overshadowed by my excitement. Nice. I will DEFINITELY be at the CONFIRMED release.